Japan consumer electronics giant, Sony has introduced world’s first 2.5 inch full color flexi-OLED (organic light-emitting diodes) display on a flexible plastic film which grins in 16.8 million colors at only 0.3mm thick, enabling you to bend the screen casually. 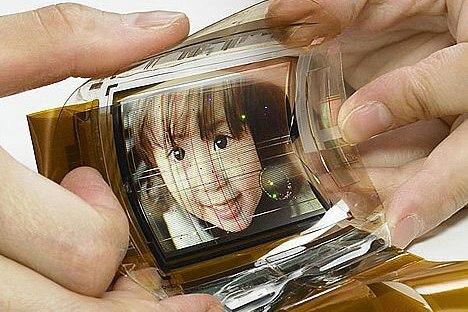 This flexi-OLED display which made from a glass substrate has a resolution of 120 x 169 pixels and weighs a mere 1.5 grams. You might see these flexible OLED screen technology apply to magazines as advertisements or on the back of a mobile phones for viewing movies in the future. It’s really a cool and high-tech gadget to enhance our digital life!